visit the Frosty Drew Observatory (on Friday evenings) to experience the spectacular night sky! 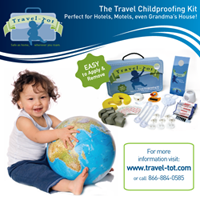 Travel Solutions: Childproofing on the Go! Great Summer Reads for Kids! Three Great Ways to Make Air Travel Less Germy! Kick-off the Summer with Fun Surprises!